At the heart of the deadly airbag recall engulfing Japanese airbag maker Takata is an inexpensive chemical called ammonium nitrate. Takata, one of the world's largest makers of airbags, has long used ammonium nitrate to inflate its airbags during an accident. Here is how they work: Ammonium nitrate tablets the size of an aspirin are put in a metal canister that is placed in the airbag. On impact, a chemical reaction produces gas, which in turn inflates the airbag. The problem: Extreme changes from hot to cold temperatures can destabilize the ammonium nitrate and cause the metal canister to explode, according to patent application documents the company itself filed. Some 14 million vehicles have been recalled worldwide because of the airbag problem, and at least five deaths have been attributed to it. Now a series of patent applications, as well as CNN interviews with a former Takata chemical expert, indicate that the company was aware of problems with ammonium nitrate as long ago as the late 1990s. "Pure ammonium nitrate is problematic because many gas generant compositions containing the oxidizer are thermally unstable," Takata wrote in a patent document in 1999. Another patent document, dated October 2006, discusses the need to test the performance of ammonium nitrate under various extreme temperatures because of its history as an unstable chemical. 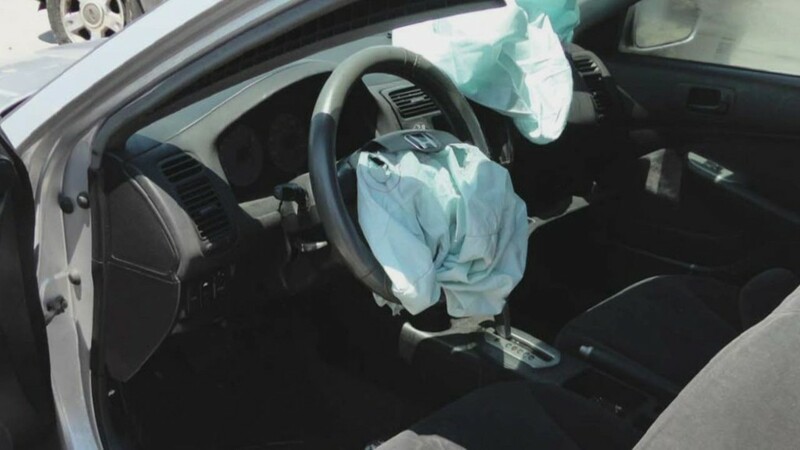 "These extreme tests can cause many problems, ranging from failure to inflate the airbag to over-pressurization of the inflator leading to rupture," Takata wrote, adding that it had a fix that would prevent that sort of rupturing from happening. Two years before, in 2004, Honda received its first report of a rupture in one of the Takata airbags. Then in 2006, Takata said it had a fix to prevent ruptures -- and a year later, three more ruptures were reported to Honda. 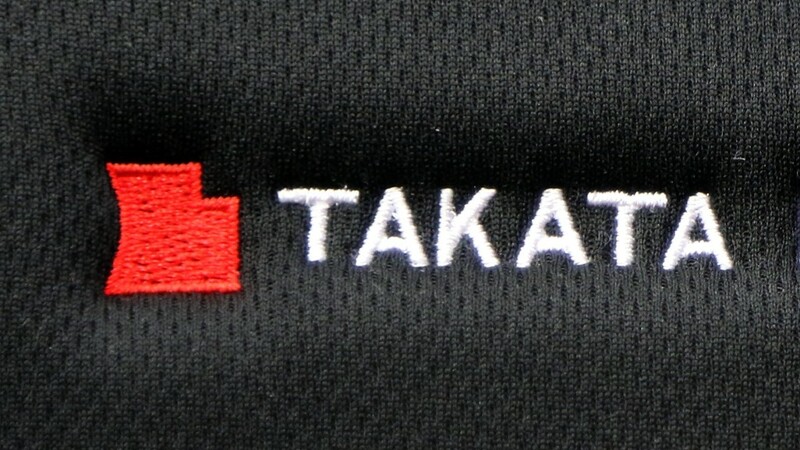 Takata continued submitting patent applications with fixes until as recently as 2013. The purpose of these patents were not to determine whether the airbag design is safe. It was only to lock in the company's claim to an idea. Former Takata propellant expert Mark Lillie told CNN the documents show Takata knew there were "problems with this material and for years they were working on ideas for fixes." Lillie, a chemical engineer, told CNN that temperature changes can cause the ammonium nitrate tablets to "break down," burn faster and become explosive. "That creates a faster more violent burn capable of causing the metal canister it's enclosed in to rupture," he said. Lillie said he and a team of Takata chemical engineers were asked in 1999 to review the ammonium nitrate propellant for use in airbags. He worked at the manufacturer's facility in Moses Lake, Washington. "Ammonium nitrate stuck out like a sore thumb," said Lillie, who added that his team was given only "a couple days" to do its review. Lillie claimed that he and the team predicted there would be problems leading to catastrophic failure of the inflator "that would produce serious injury or death." CNN asked Takata specifically about this claim. The company said "Takata does not comment on our ex-employees." Takata moved forward. In 2001, the company started production of the airbags using ammonium nitrate. The first injury linked to a faulty Takata airbag was reported in 2004, when an air bag exploded in a Honda Accord in Alabama. Metal fragments shot out, injuring the car's driver. Deemed an anomaly, no recall was issued. In two other patent applications, filed in 2006, Takata again acknowledged problems with using ammonium nitrate and offered fixes. In a statement to CNN, Takata said that ammonium-nitrate has "significant advantages" over other methods for inflating airbags. "[I]t burns cleaner and emits significantly less particulate matter that can be harmful to vehicle occupants with respiratory illnesses; it's more efficient, enabling the production of smaller, lighter inflators that contribute toward more fuel-efficient vehicles; and it's more stable and less sensitive when compared to other chemical compounds, making it safer for employees to handle during the manufacturing process," Takata said. Takata added that ammonium nitrate is "safe and effective" when properly made. Lillie said he left Takata in June 1999, months after the company moved forward with the propellant despite his words of caution to executives.